September, 2013. 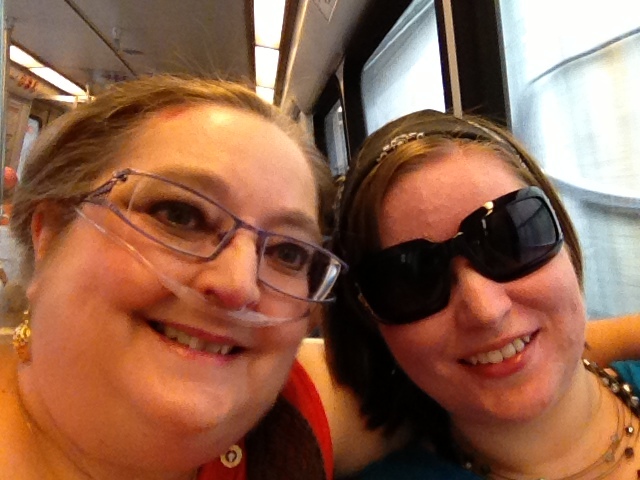 My daughter, Bethany, and me on the Washington DC Metro. The week after we returned from Philadelphia, I had two doctors’ appointments, both scheduled weeks and months earlier. The first was with my primary care physician who is a friend, believer, and member of my church. I shared my testimony with the women who work in his office. All three of them marveled at the change in me. It also opened some doors for them to share some of their concerns with me, things I now keep on my prayer list. As I sit here, waiting for Kevin to come in, I am experiencing some anxiety. I now have an idea of how Geoffrey felt as our breakfast ended. He recognized God’s voice and knew he had to be obedient to the command. But it didn’t keep him from feeling too nervous to ask me directly if he could pray for me, sending instead the Gideon from Maryland who was seated next to him. I’m sure Kevin will believe me because of his faith in Jesus. But I’m still nervous about the encounter. Will he just accept it? Will he doubt at first? I don’t know how he will react. The knock came on the door. In response to his greeting, I said, “I’m terrific. Let me tell you what’s happened.” As I shared, Kevin acknowledged the power of prayer and how he has seen people recover through God working and answering prayer. But he admitted all cases involved a process of healing, rather than immediate. He moved to the examination table, placed his stethoscope on my back, and told me to take a deep breath. Out of the corner of my eye, I caught an expression of wonder at what he heard. “You’re really moving a lot of air. And everything sounds clear—no crackles or wheezing,” he said. And his smile told me the rest. The next day, I had an appointment with one of my specialists at the University of Pittsburgh Medical Center (UPMC) where I shared my testimony more times than I can count. I greeted the receptionists who immediately noticed I was missing my oxygen. Then came the nurse who escorted me back to do a six-minute walk. (This is a test where your pulse and oxygen saturation is continuously monitored while you walk as many laps as you can in a measured hallway in six minutes.) She couldn’t believe how well I was walking without the oxygen or the normal levels of my vitals. She allowed me to do the walk without the oxygen, but had a tank handy just in case. I took off at a comfortable, sustainable pace. She smiled and laughed in amazement at my numbers each time I passed her. After it ended (no oxygen needed) she printed out the report and marveled at the fact that I had done better and walked farther than the previous three times with oxygen. She told me I’d made her day. Next came the physician’s assistant. I was touched by the respect everyone showed toward my God story. By the same token, none could refute the observable and obvious change in me. Finally, came Dr. Mike. When I’d finished, he said, “Please have patience with those of us who are grounded in science and tend to be skeptical. But I will never say that science and medicine have all the answers.” But because he is a scientist and his main concern is for my health and well-being, he asked me to stay on my medications until I see him again in three months so he can be sure this “sticks”. During the exam, he also heard my lungs fill up the way they were supposed to and admitted that the numbers from the six-minute walk backed up the way I felt. I know what he’ll find in three months, but I also understood where he was coming from. As a Christian most of my life, I’d never been acquainted with anyone who’d been dramatically healed nor did I know anyone who knew anyone to whom this had happened. The nature of a miracle lies in the fact it is so unexpected, so instantaneous, so wondrous that it can hard to comprehend, even for those of us grounded in faith. We serve a God of power, love, and miracles. But, I know the Lord sustained me the past ten years because of the treatments prescribed by my doctors. God does use medicine and its technologies to heal. But I am living proof that miracles did not end with recorded scripture. God is still sovereign and still delights in miraculously healing His children. August, 2014. 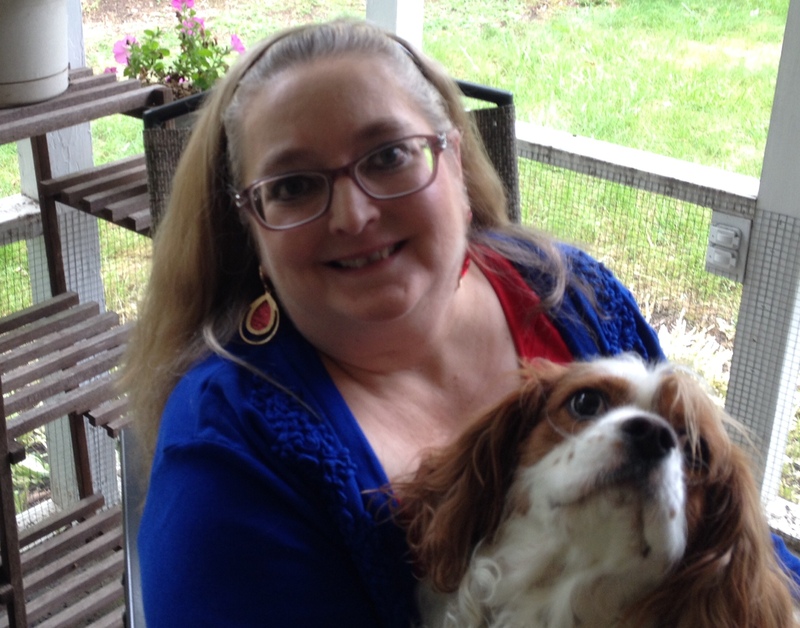 Me and Phin at home. 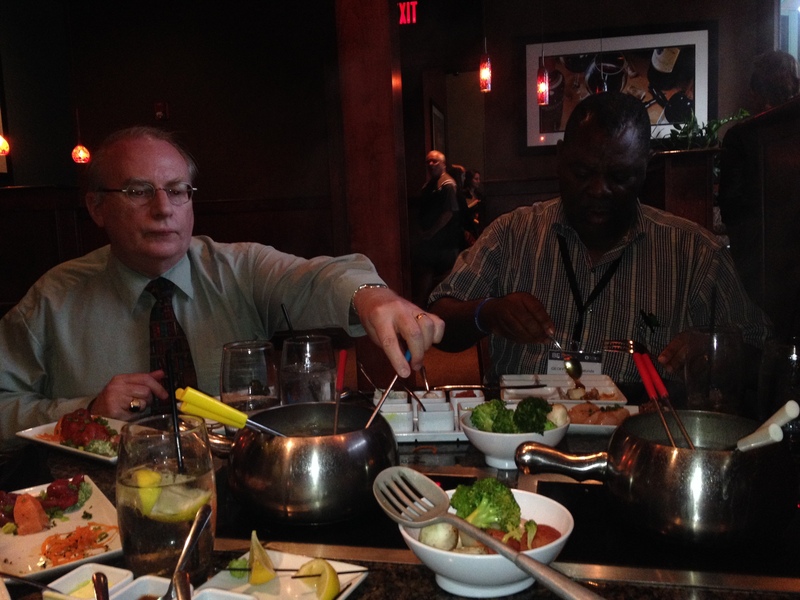 Tom and Geoffrey enjoying The Melting Pot experience at dinner on Thursday night. As Tom and I spent the rest of the day with Geoffrey, we learned how God had worked in his life and how God had been preparing for my healing long before any of us had an inkling that it would take place. In July, 2013, Geoffrey came into contact with a man in his country who is known to have the gift of prophecy. While talking with him, the man stopped, looked at Geoffrey and told him that he saw a plane ticket on his head and that Geoffrey would be going to America the following July. Geoffrey thought it a bit strange as he had no reason to go to America and certainly didn’t have the means to do so. Despite this, he accepted the man’s words, but as time passed, forgot about them. When information came out about the 2014 International Gideons Convention early in 2014, Geoffrey felt a nudge from the Holy Spirit that compelled him to register, which he did on faith. It wasn’t until partway through the process that he remembered the prophecy. As his plans progressed, God provided everything Geoffrey needed. He was given a plane ticket, the money he needed for registration and accommodations, and another gift of just the amount he needed to renew his visa—with an hour to spare before the deadline. On the morning of the convention breakfast, Geoffrey was ready at 7:15 even though the breakfast was not until 8:00. He tried to leave his room but was drawn back inside. This happened several times. By the time he actually left, Geoffrey realized he would barely make it on time. I remember seeing him at the door, scanning the room for an empty seat when the man across from me waved to Geoffrey and pointed to the place at our table. I assumed they knew each other from one of the convention sessions, but later learned they had never met. Geoffrey settled at the table in time for the blessing and the serving of breakfast. We smiled and nodded a hello to each other but were too far apart to be able to converse. He later told Tom and me of being under such conviction of the Holy Spirit to pray for me, that he didn’t enjoy his breakfast or hear any of the program. All he did for those two hours was listen to and focus on God’s command to pray for my healing. As I mentioned in the previous post, Geoffrey was so nervous to approach me because he didn’t know how I would respond that he asked the man next to him to relay his desire to pray for me. Throughout the rest of the day, as we talked and shared, we learned that God had used Geoffrey’s gift of healing—as well his humble and obedient heart—to facilitate healings in his home country of Malawi. While not a faith healer, Geoffrey feels compassion for and will pray for anyone who comes to him with a request to pray for healing. In those cases, he has seen some complete and some partial healings, as well as no visible evidence of healing. But when he hears God’s direction to pray for someone’s healing, goes to him or her, and is obedient, the results have been 100% effective. In my particular case, Geoffrey obeyed God every step of the way, even though he didn’t always know the purpose and at times felt uncomfortable. He responded in faith and obedience to Spirit’s nudges and directions. And God used him in a great and mighty way to restore my health. Tom and I cannot stop praising and thanking God for this miraculous gift of healing (as well as a bit of walking and leaping)! 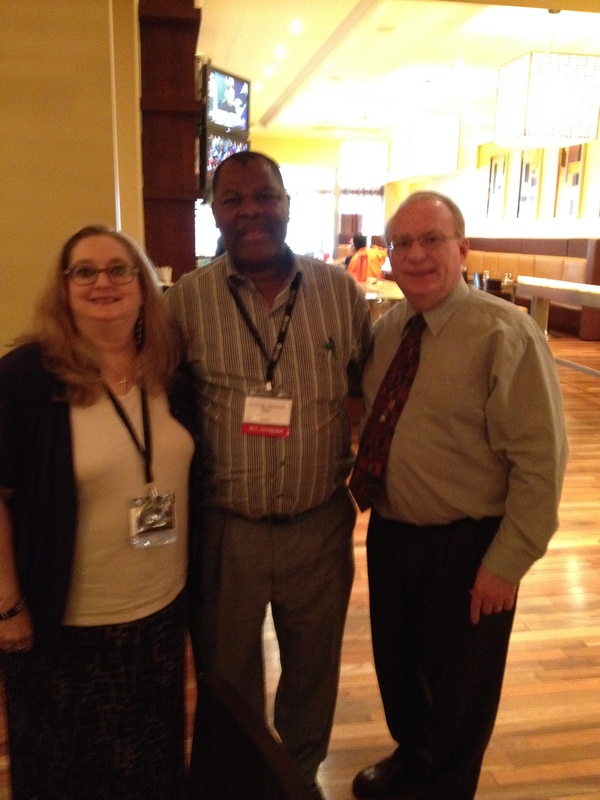 We are doubly blessed to have Geoffrey as a friend and a dear brother in the Lord.